If you think Hillary Clinton is going to fight for a progressive agenda, you're smoking the good stuff. The woman who just told her Goldman Sachs audience that the bankers are misunderstood is going to do what -- get money out of politics, fix the banking system, do progressive economic policy? Even if you "stand with Hillary," you don't believe that. And has anyone been more a pro-war Democrat than Hillary Clinton? That's a literal question. Her team is out there now saying they would have been more hawkish in the Middle East than Obama was. They would have gotten involved in Syria earlier. They would do even more bombing of Iraq and Syria today. Great, a pro-war Democratic candidate! That's worked out so well before. So far there haven't been very many progressives willing to stick their head out there and say they're willing to take on Team Hillary. I understand that the Washington media is saying that she can't be beat. That's hilarious. Isn't that exactly what they said in 2008? Well, to be fair, at the time she was running a center-right, hawkish, Republican-lite campaign. Oh yeah, exactly the kind of campaign she's running now. 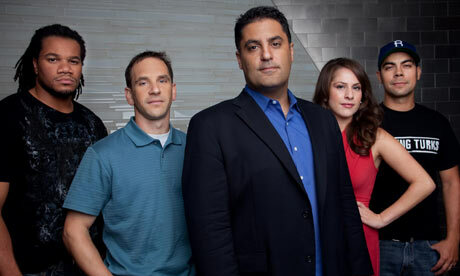 So, we at The Young Turks are looking for a champion who will actually represent progressive priorities. In this regard, we have done two things. First, we commissioned a poll of young adults to see what the next generation of progressives would like. We got some surprising results. On the question of who would you like to run against Hillary Clinton, do you know who came out ahead? Al Gore. I worked for Al Gore, I like Al Gore, but I didn't see that one coming. Sure, this general survey is biased a little in favor of name recognition at this point, but given that 38 percent say they would like another choice besides Hillary Clinton and 40 percent of those say they would even register to vote if that choice was on the ballot, it seems like we have some discontent out there. The second thing we're doing is The Progressive Presidential Primary. We are asking our progressive audience to pick candidates for us. You can submit candidates through petitions|AT|tytnetwork.comEmail address. We already have over one hundred submissions. These petitions have until November 4th to get to a thousand signatures (Elizabeth Warren, Larry Lessig, Neil DeGrasse Tyson and Bernie Sanders have crossed the threshold already), in which case we leave them up indefinitely to see who progressives online favor. Of course, these are all rough approximations. But combined they begin to give us a sense of who people would like to rise out of the crowd to take on Team Hillary. Already, we have a sense that there are many people who share our feeling that another establishment Democrat that promises very little change in this corrupt Washington system is not what people are looking for. They're looking a real progressive and one willing to fight! In places like Iran and China, the rulers pick certain candidates that they allow people to choose from. That is of course a false choice. Here, our elites also give us our candidates. Our elites are the donors. They finance only a limited set of people who will maintain the current order. They are smitten with Hillary Clinton. We propose to upend their order and propose a candidate of our own. Help us do that. Help us find someone who will actually represent real progressives.